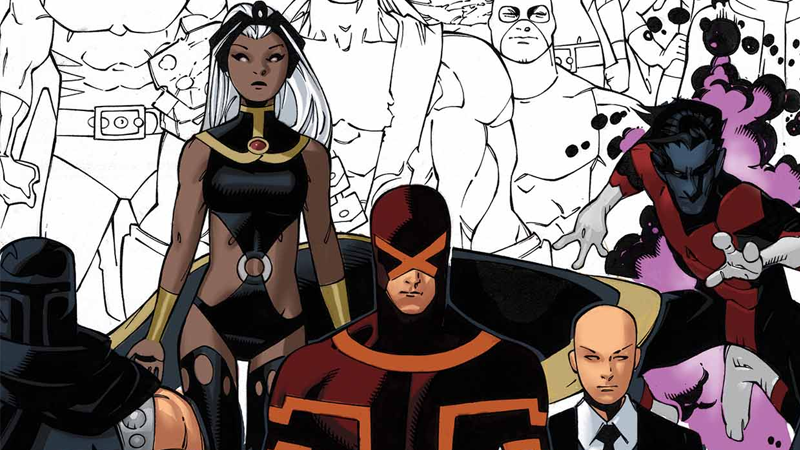 The X-Men are having a rough time in Marvel’s “All-New, All-Different” universe. Usually, that’d just be like another Tuesday for them, but this time there are a lot of questions up in the air: Why is Terrigen Mist killing them? What the hell did Cyclops do to make mutants hated again? Well, we might just have some answers. Spoilers ahead for Extraordinary X-Men #2, by Jeff Lemire, Humberto Ramos, and Victor Olazaba. Uncanny X-Men #600 capped off Brian Michael Bendis’ run on the X-Men with Cyclops—disillusioned after he killed Professor X in a fit of phoenix-force-induced rage—bringing together the Mutants of the world on Capitol hill, hoping to forge a new, better world in a Mutant revolution. That didn’t happen. Something did though, and in the process, on top of facing a world covered by Terrigen mist that is creating new Inhumans everywhere as well as sterilizing and poisoning Mutants, the world now hates them once more, fearing the disease they’re inflicted and untrustworthy of mutants in general. The X-Men have fled to a secluded X-Haven, and now spend their time trying to protect innocent mutants from the wrath of fearful humans. And the one thing they all talk about? That all changed when Scott Summers did something so extreme that it sparked off a wave of anti-mutant sentiment the world over. And while we still don’t know exactly what he did, we do know a major ramification of it, thanks to Extraordinary X-Men #2. At the end of the first issue, Storm and Iceman found the older version of Wolverine, displaced from his own future and now part of the world after Secret Wars—a world where his younger self had been dead for a while, because comic boooooooks. While trying to recruit him to their cause, Storm casually drops a huge bombshell: Whatever Cyclops did, it involved him dying. It’s mentioned enough times later on in the book that it does seem to not be misdirection, but the actual case. But, as ever with comic books, you never really know—and it’s not like death has stopped superheroes from showing up before, time and time again in fact. For now though, One of the first X-Men is, apparently, no more—and he’s left all of mutant-kind in grave danger.